New research has revealed a possible correlation between hearing loss and the development of dementia. There are many risk factors associated with dementia, but one of the most recently discovered correlations is a condition that few would consider as even related to the disease. 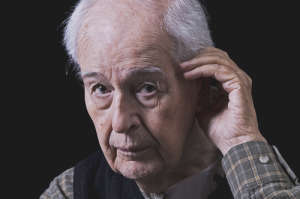 Research has identified hearing loss as a potential indicator of the development of dementia. A 2011 study initiated by the National Institute on Aging and conducted by Johns Hopkins explores the intriguing relationship between hearing loss and dementia. The research was published in the Archives of Neurology and involved 639 participants, all of whom had their hearing and cognitive abilities tested between 1990 and 1994 by the Baltimore Longitudinal Study of Aging (BLSA), a long-term study tracking age-related health factors in individuals since 1958. At the start of the study, about 25 percent of the participants reported some degree of hearing loss, but none had any signs of dementia. These participants were surveyed once every one to two years, in order to track their health conditions as they aged. By 2008, 58 of the participants had developed some kind of dementia. The researchers determined that participants who reported hearing loss at the beginning of the study were much more likely to develop dementia over the course of those 14-18 years. Further results suggested that the more severe the hearing loss, the greater the likelihood of developing dementia. Researchers also accounted for other factors—including diabetes, high blood pressure, age, race and gender—but still found the correlation between hearing loss and dementia significant. So far, the exact reasoning behind hearing declination and the onset of dementia remains unclear. Some scientists speculate that the repetitive burden of decoding aural input over several years might overwhelm specific sections of the brain related to sonic deciphering, and lead to hearing loss. This kind of mental deterioration may lead patients to become more vulnerable to degenerative types of dementia. Another theory in circulation claims that hearing loss and dementia do not have such an underlying common cause, but rather the hearing loss causes patients to become more socially isolated. Social isolation has been identified as a risk factor for developing dementia. Because the onset of dementia remains so unpredictable, many patients and family members are unable to recognize the development of the condition until it has become more severe. Because hearing loss is now considered to be a potential early sign of dementia, it may help loved ones and medical professionals identify symptoms more quickly. Researchers are also considering the efficacy of utilizing hearing aids and other forms of hearing recovery as a preventative treatment for early stages of dementia. 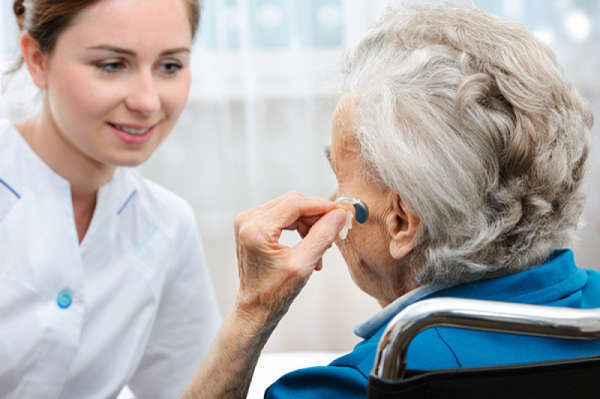 Further research is needed to verify the exact relationship between hearing loss and dementia, but the recently uncovered correlation has already led to new insights surrounding the condition. If uncovered, hearing loss could become both a widely acknowledged risk factor for dementia, and a means of initiating early forms of preventative treatment.